Stetson Kennedy was born in Jacksonville on October 5, 1916. From 1937 to 1942, Kennedy traveled the cities, towns, and rural backwoods of Florida documenting the cultural heritage of the state’s diverse populations for the WPA’s Florida Writers’ Project. Kennedy later infiltrated the Ku Klux Klan, exposing their secrets. He was an activist for positive social change, working to make life better for all Floridians until his death on August 27, 2011. 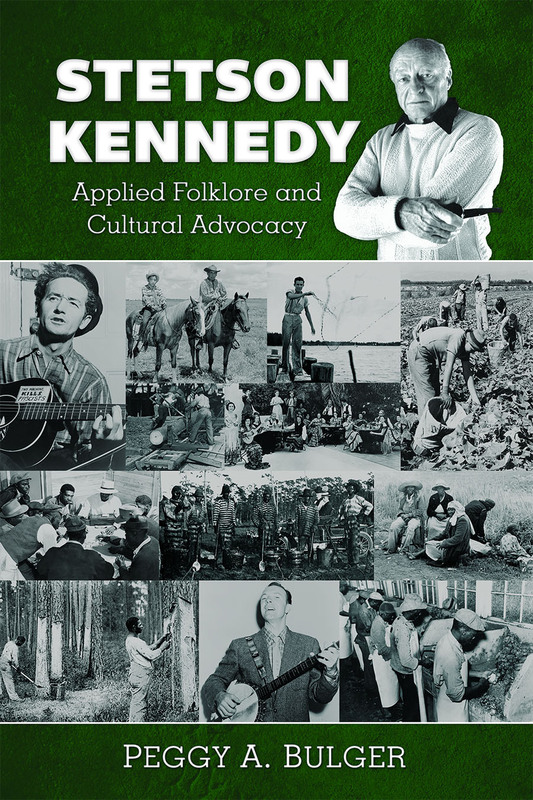 This book is the first comprehensive look at the life and work of author, activist, folklorist, investigative journalist, and oral historian Stetson Kennedy. Author Peggy Bulger was the state’s first folklorist, serving as Folk Arts Coordinator in 1976. From 1976 to 1989 she held senior folklore positions at the Florida Folklife Program, and created the Florida Folklife Collection. Bulger served as Folk Arts Director and Senior Program Officer for the Southern Arts Federation in Atlanta from 1989 to 1999. She then became Director of the American Folklife Center at the Library of Congress. Since 2011, Bulger has been back in Florida, working with other folklorists around the state.